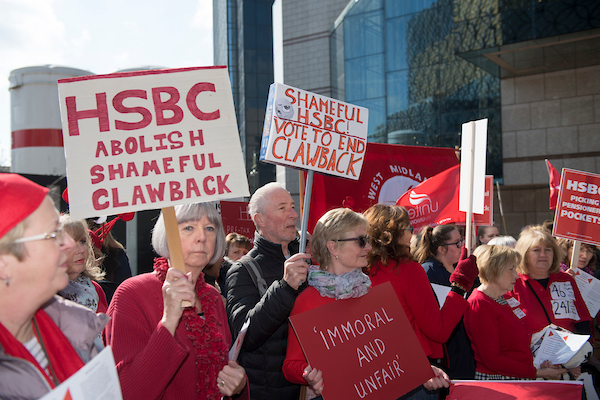 Former Midland Bank workers, activists and their supporters descended on HSBC’s AGM today (April 12) in Birmingham to demand justice in their fight against a practice that will slash pension pots for some of the bank’s lowest paid staff. Two years ago, staff who worked between 1975 and 1996 for Midland Bank, now part of HSBC, discovered to their shock that once reaching state retirement age, the bank could strip up to £2,500 from loyal workers’ retirement income each year. Today, former and current staff, Unite members, protested against this practice, known as clawback, where employers reduce, or ‘claw back’ their former workers’ pensions by the basic state pension amount once they reach state pension age. The workers, mostly women who took time out of their careers to raise children, are angry that the bank failed to inform them of this policy and now face losing up to a third of their pension. Among those attending today’s protest was Maria Hipkiss, 62, who spent more than four decades working for Midland Bank. Now, through clawback, she stands to lose more than £1,400 a year once she hits state pension age at 66. Maria (pictured below), from the Midlands region, said she was motivated to attend the event in support of other colleagues who will be hit even harder by clawback than she is. 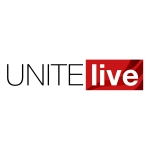 Maria, who thanked Unite, the media, campaigners, MPs and others who have supported their cause, said she was especially hopeful after today’s demonstration. 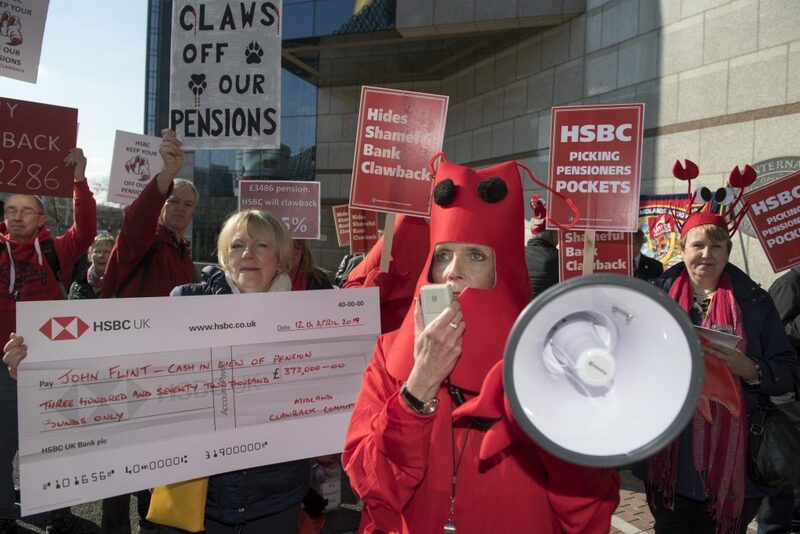 Demonstrators, wearing ‘clawback’ costumes, held placards and leafletted attendees of the AGM this morning, asking them to vote in favour of resolution put forward by the Midland Clawback Campaign shareholder group, which calls on HSBC to address clawback. 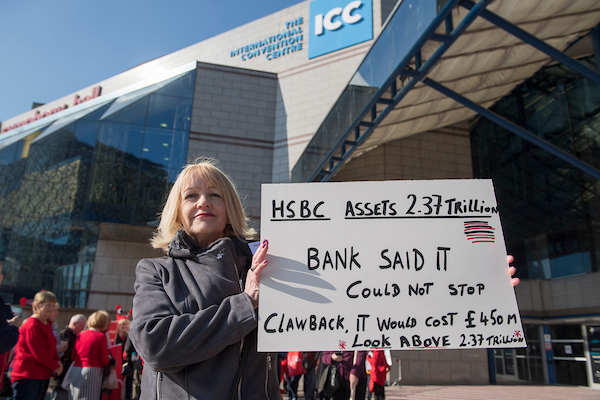 Many Midland Clawback campaigners are themselves HSBC shareholders, who participated in this afternoon’s AGM. The campaigners put forward two questions at the meeting calling on HSBC to see sense and take action on clawback. Sharon said that today was only one stepping stone in their fight for justice. Unite national officer Dominic Hook (pictured below) hailed today’s demonstration, calling it an “important step forward in this campaign for pensions justice”. “The demonstration was very well attended – we had people come from as far away as Cornwall and other parts of the country. The campaign successfully highlighted the iniquities inherent in clawback,” he said. “It is disgraceful that this profitable and wealthy multi-national bank is withholding from pensioners a significant amount of their pension,” Hook added. “These pensioners worked hard to earn this income for their retirement. 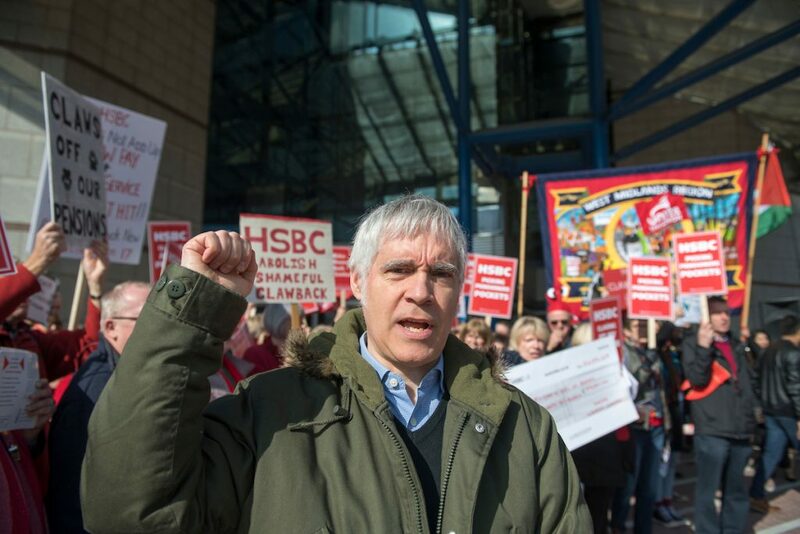 Unite assistant general secretary Gail Cartmail likewise praised the campaigners, and also highlighted the discriminatory nature of HSBC’s clawback. “The HSBC pension justice campaign is fighting against an inherently sexist move against a largely female workforce,” she said. “Foremost amongst the institutions with the widest gender pay gap by a country mile are banks within which women are clustered in the lowest paid roles. Add to this lip service when it comes to measures to end pregnancy discrimination and flexible work for carers, it is unsurprising that HSBC is dragging its feet to reverse the clawback.